It may be easy to read a recipe but simply reading is not always a good way to learn how to make a recipe. A good way to learn, and most likely easier, is to watch a food recipe video. Here is my up to date collection of British food recipe videos and other cookery videos I have made. Ever wondered how to make the perfect Yorkshire Puddings. Watch how easy it is with this simple and straightforward video by Elaine Lemm, your expert on British and Irish food here on About,com. 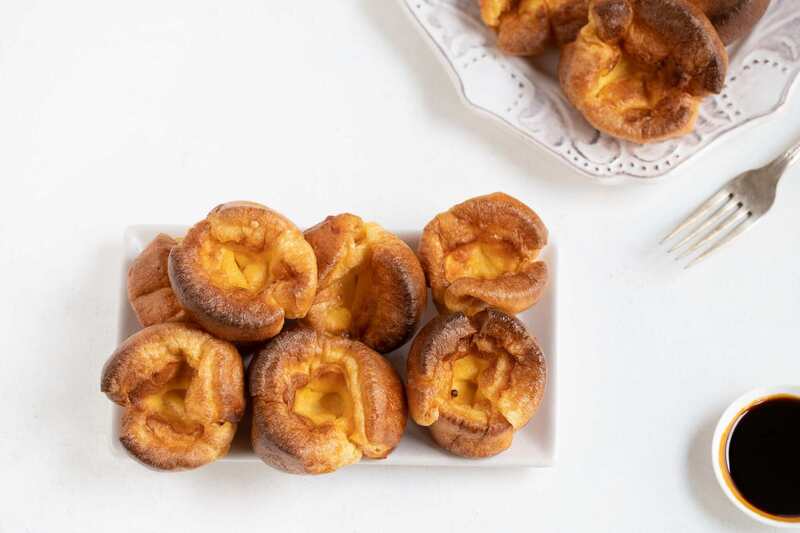 How to make perfect Yorkshire puddings every time. A video showing Britain's favourite curry. So delicous and yet so easy to make. A Bakewell tart is one of Britain's most famous tarts, made with a delicious almond filling and so, so easy to make. The Cornish pasty is known and loved throughout Great Britain and Ireland. It is so,so easy to make. This video will show you just how easy it is.
. Traditionally a Shepherd's Pie is made with ground lamb, and if using ground beef would be called a Cottage Pie but the recipe is the same for both. Cooking doesn't get easier than this. Irish Colcannon is a hearty, filling dish and so quick to make. Eat it as a side dish and it even makes a meal all by itself, especially if you like mashed potato. If you want to check them out you will find something for everyone. From your favourite Christmas recipes, to videos explaining just what British Food and eating is all about. It is great fun, and sometime challenging to make recipes outside of British Food and adds to the repertoire of recipes for me to cook at home. This list is continually updated. Enjoy. What Makes Mexican Food Authentic?